For just a few days, unwrap a little old fashioned holiday cheer and immerse yourself in the twinkly lights and joyful spirit of Christmas in Eugene - Springfield. 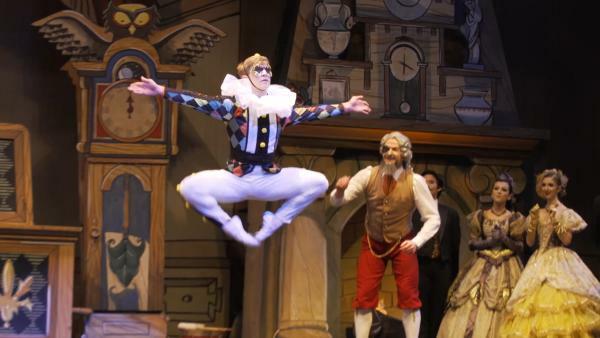 One favorite holiday tradition in Eugene is to see The Nutcracker ballet at the Hult Center for the Performing Arts. Produced annually by the Eugene Ballet with Orchestra Next, The Nutcracker will awaken the joyful inner child in any Grinch. Browse the lobby nutcracker boutique and get your photo taken with Clara during intermission. And if ballet doesn&apos;t sum up Christmas for you, there is a robust holiday events calendar offering Christmas performances including a Cowboy Christmas by Radio Redux, Irving Berlin&apos;s White Christmas at the John G. Shedd Institute for the Arts and A Dickens of a Christmas by the Eugene Concert Choir. And don&apos;t miss The Best Christmas Pageant Ever performed by the Rose Children&apos;s Theatre gracing Springfield&apos;s Richard E. Wildish Theater. Package enchanting entertainment with an exquisite shopping experience for all the holiday "feels". Eugene - Springfield&apos;s rewarding shopping districts feature both popular national chains and one-of-a-kind boutiques. With diverse storefronts, ample parking lots and uncrowded malls, your Christmas to-dos are actually fun again! 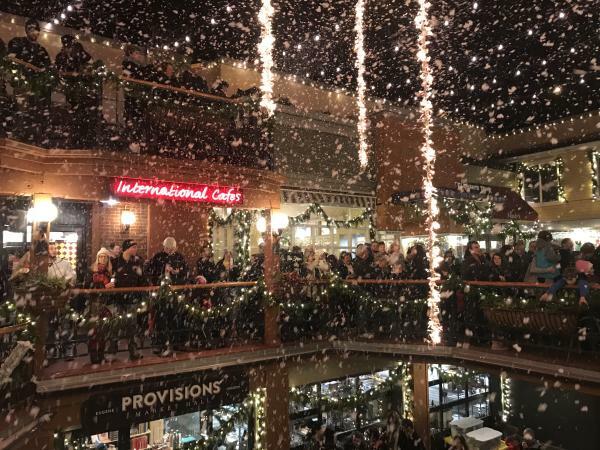 All the malls dress up for the holidays, but the Fifth Street Public Market creates a fantastic winter setting where it "snows" at dusk every Friday and Saturday evening from Thanksgiving through Christmas. Float through this magical indoor/outdoor shopping complex with a warm drink in hand and a smile in your heart. 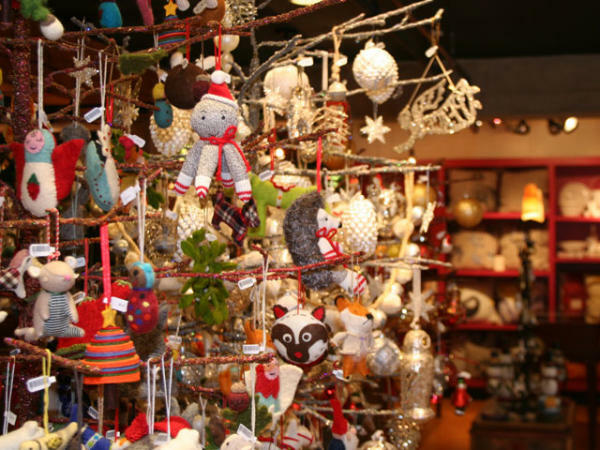 Power shoppers will revel in the Saturday Market&apos;s Holiday Market at Lane Events Center. Hundreds of colorful artisan crafts and gifts are displayed under one roof for a one-stop-shopping experience. Have you been to the Saturday Market? It&apos;s all that plus more! Along with checking off your list, enjoy entertainment and a delicious food court. And next door is the Rink Exchange with daily public ice skating sessions. Since you are here, and skate rentals are available, why not enjoy a wintertime spin around the ice? Undoubtedly you discovered must-have gourmet farm-to-table products at both Fifth Street Public Market and the Holiday Market, so it is time to start planning your holiday table. 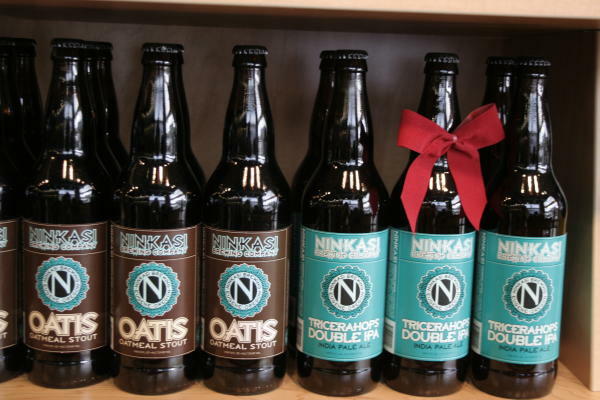 Pair a locally-inspired menu with really good beer and wine. Eugene&apos;s thriving craft beer community is brewing batches of seasonal beers, so grab a growler and stop by the Bier Stein to fill up. In wine country its "cellar season", and the perfect time to chose a special wine for your Christmas dinner and to present to friends at holiday parties. 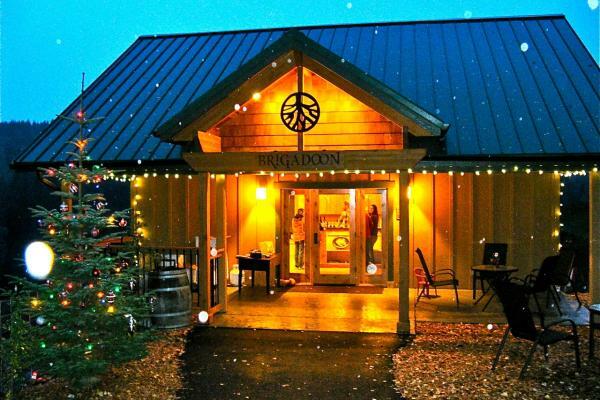 Eugene&apos;s urban wineries make it easy to shop by bringing winery-exclusive wines to town, but even a drive out to a nearby estate is only about 30 minutes. 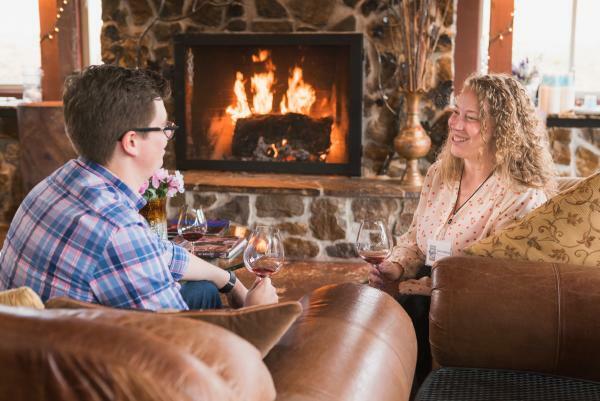 Head out to Pfeiffer Winery for a cozy fireside tasting complete with roasting marshmallows in their beautiful pavilion. With harvest complete and the vines hibernating, your odds of sitting down with the winemaker over a glass of Pinot just went up! Just think of the stories you&apos;ll be able to tell as you pour for your guests. The perfect finish to your Eugene visit is a holiday light tour. 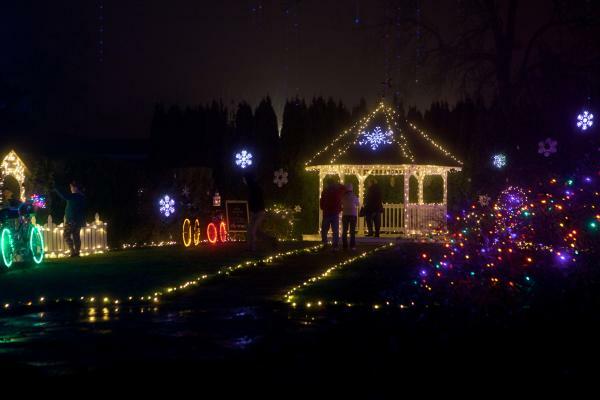 Thirty minutes south of Eugene, off Interstate 5, is Cottage Grove&apos;s Village Green Resort known for its extensive holiday light display in their gardens. Walk through a light tunnel and beneath gigantic glowing flowers! Or if you&apos;d rather stand in one spot and have the lights roll by you - head north to Coburg for their light parade! Just ten minutes outside of Eugene, this historic town is a quintessential destination for nostalgia. But perhaps the easiest avenue for enjoying holiday lights is cruising Eugene. Sunshine Limo Service offers a Eugene Christmas Light Tour which whisks you away to the most spectacularly lighted neighborhoods. And since getting into the holiday spirit is what this is all about - while someone else is driving - why not bring a little flask of local spirits with you? Heritage Distilling Co. has created the coolest advent calendar ever - imagine a little pick me up every day until Christmas! And what kicks off the season? 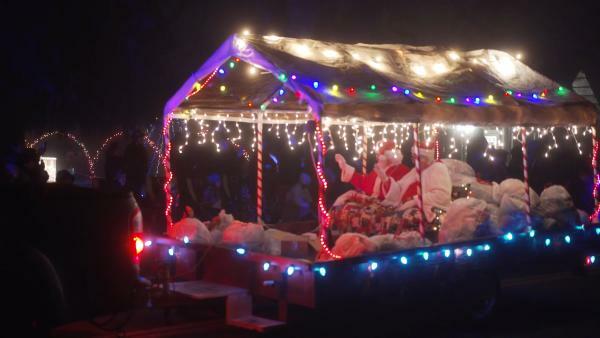 Springfield&apos;s Christmas Parade is a daytime thrill that draws thousands to line the parade route. Gather along Springfield&apos;s Main Street for the fanfare, then retire to the local family-friendly pubs and restaurants for lunch. If you&apos;re ready to make magical holiday memories, Eugene - Springfield has the right mix of holiday entertainment and activities!